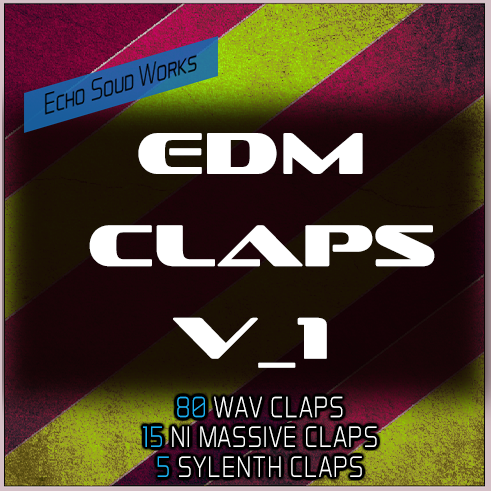 We created 80 brand new WAV claps for genres of EDM like Progressive, House, Electro, Melbourne, Dubstep and more. These sounds will also fit perfectly with Pop. Just like our EDM Snares and Kick sample packs, we made a highly intuitve Kontakt instrument that makes loading, auditioning and layering claps easier than ever before. Check out the video demo below! Check out the demo below to hear almost all of the snares in this pack. Check out the YouTube video below to hear all of the claps in the pack INDIVIDUALLY.